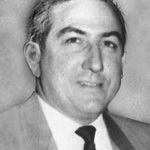 Leno LaBianca was born Pasqulino Antonio Labianca in Los Angeles, California on August 6, 1925. He took his first name, which was shortened to Lino, from his grandfather and his middle name from his father, an Italian tradition. Both Lino's parents, Antonio and Corina Labianca came to America in the beginning of the century. Antonio had a growing grocery business with Gateway Ranch Markets and State Wholesale Grocery Company. The latter purchased food at wholesale prices and distributed it to a group of grocers. Meanwhile Corina stayed at home taking care of Lino and his two older sisters Emma and Stella. In High School Lino was an exceptional student, which led him to skip a grade. As a member of the Benjamin Franklin High School track team, Flash (his nickname) competed in both shot put and discus competitions. People were constantly mispronouncing Lino's name so he decided to change the spelling from "i" to "e". Outside of school Leno worked for his father at Gateway Markets. In his free time he frequented places like the Hollywood Rollerdrome, the Sycamore Drive-In, and the Pasadena Civic Auditorium with his girlfriend Alice Skolfield. According to Skolfield, Lino was "quiet, shy and equipped with a subtle humor," and "had a great capacity for getting himself innocently into all kinds of trouble". In 1940, Leno's father bought a home on Waverly Drive in the Los Feliz district of Los Angeles. This put Leno in another school and away from Alice. It wasn't long before Leno forged his father's name on a change of address form and went back to Benjamin Franklin High School to be with his first love. 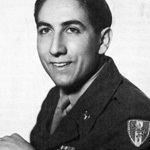 In the fall of 1942, Leno started working at State Wholesale as well as enrolling at Los Angeles City College, studying Business Administration. After one semester at city college Leno transferred to the University of Southern California and went back to work at Gateway. 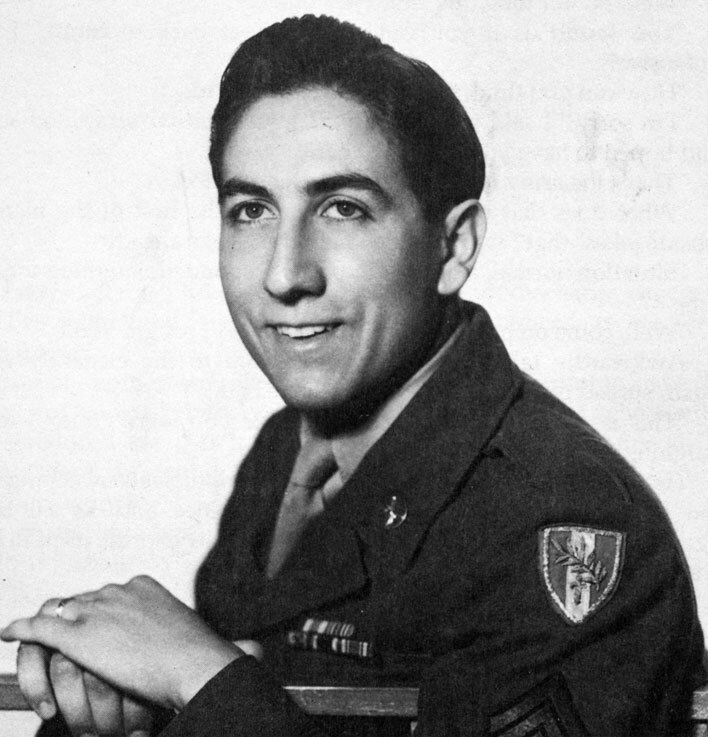 In November of 1943, Leno received his Army induction papers and was sent to Fort Macarthur in San Pedro California, and eventually went on to become a member of the 524th Military Police Battalion. The following month he and Alice got engaged. They married in March of 1944 and lived for brief periods in Salinas, California and Gainesville, Texas. 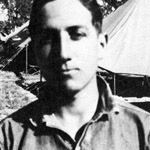 In September, Leno was ordered off to Europe to serve in World War II and the couple was separated for 18 months as he was on duty in England, France, Holland, and Germany. Alice lived with Leno's parents on Waverly Drive, eagerly waiting for him to come home as Leno was on the move in Europe. Passing his free time writing home to his wife, gambling, and watching movies. He finally returned home in March of 1946 having risen up to Technical Sergeant. 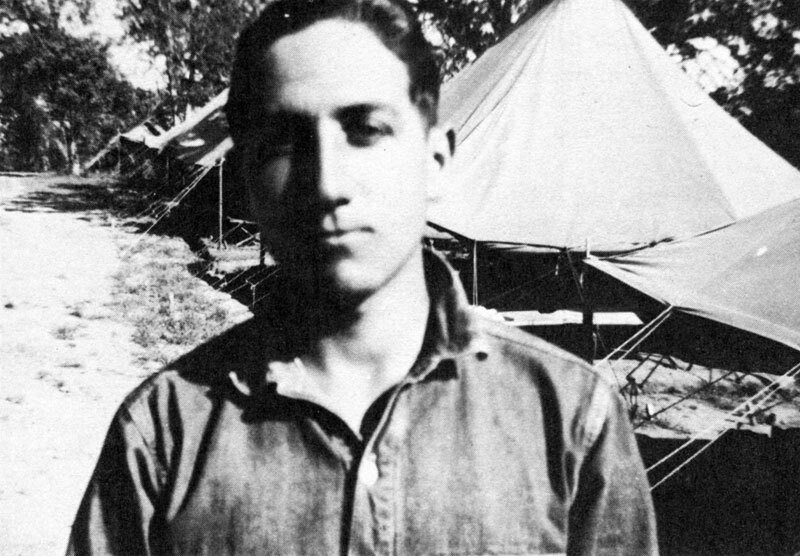 Leno immediately joined the Army reserve where he took the rank of Sergeant First Class. Back home, Leno's parents had his life planned out for him; he and Alice would live in the apartment behind the Waverly Drive house. As their family grew and needed more space, they would move into the main house. Alice desperately wanted her and Leno to have a home and a life of their own. Their marriage suffered as Leno tried hard not to hurt his parents' feelings. Unhappy with the marriage, Alice left. The couple talked briefly about divorce but after spending some time apart they reconciled and purchased a small home of their own in Alhambra. Leno became a father in the spring of 1948 when Alice gave birth to Corina Jane Labianca. Two years later Leno was elected to the Board of Directors and was named Vice President of both Gateway Markets and State Wholesale. That December, Leno and Alice were blessed with their first son, Anthony Carl Labianca. In 1951, Leno and Alice purchased a bay front summer home on Newport Beach. They had use of the house for 2 weeks in June and rented it out the rest of the year. In August Leno's father passed away. Leno became president of Gateway and State Wholesale and moved his family back to Waverly Drive. Alice committed herself to getting her degree in Accounting, while Leno found himself buried in work from his new responsibilities. Throughout the years, Leno and Alice had grown apart. And while they still cared for each other they both wanted different things from life. They separated in January of 1955. Both Alice and Leno moved out of the Waverly Drive house, finding separate apartments in Los Feliz. In September, Leno became a father for the third time when Alice gave birth to Louise Labianca. State Wholesale was becoming more and more of a burden for Leno. He decided to sell the business and focus his attention on the expansion of Gateway Markets. Leno and Alice officially divorced and he finally graduated from USC with Bachelors in Finance. In 1959, Leno met Rosemary Struthers. The two fell in love and were married later that year in Las Vegas. Leno had begun living out his life long dream of breeding and racing thoroughbred horses. He was tired of the grocery business and was looking for a way out of his responsibilities at Gateway. Rosemary started her own business and was very successful. The two bought a house in Los Feliz previously owned by Walt Disney. The house needed a lot of work and turned out to be more trouble than it was worth. In 1968, Leno sold the Disney house and bought the Waverly Drive house from his mother. Leno, Rosemary, and her son Frank moved in. But only planned to stay there until Leno was officially finished at Gateway. In the summer of 1969 there was a number of break-ins at the Waverly Drive house. Leno finally came to an agreement with the other shareholders at Gateway that would allow him to get out of the business for good. He and Rosemary wanted desperately to get away from Waverly Drive. In August of 1969, Rosemary's son Frank spent a week vacationing with his friend Jim Saffie on Lake Isabella. Early in the week, Leno drove up to the lake and dropped off his boat for the boys to use. On Saturday August 9th, both Leno and Rosemary drove up to Lake Isabella to pick up Frank and the boat. Frank was having such a good time, Leno and Rosemary decided he could stay another day and return to Los Angeles with the Saffie family. At around nine that night Rosemary, Leno, and Rosemary's daughter Suzan left Lake Isabella with the speedboat and started heading back to L.A. Rosemary and Leno arrived at Waverly Drive at about 1 AM on Sunday morning after dropping off Suzan and stopping at a newsstand for a paper and a racing form. Leno was an avid gambler and spent a lot of time at the racetrack; at that time however, the only thing his gambling was winning him was a $230,000 debt. Rosemary seemed quite disturbed about the news of the Tate murders. She retired to her bedroom while Leno fell asleep in the living room while reading the sports page. Charles Manson and Tex Watson woke Leno up at gunpoint. Leno was assured by the intruders that he would not be hurt; they were simply there to rob him. Charlie removed a leather thong from his neck and had Tex use it to tie up Leno's hands. Leno was asked if there was anyone else in the house. He told the two that his wife was in the bedroom. Manson went to the bedroom and returned to the living room with Rosemary. After collecting all the cash in the house, Manson had Tex bring Rosemary back to her bedroom. Tex returned to the living room with a pillowcase and put it over Leno's head and then gagged his mouth with a lamp chord. Charlie left and within a few minutes Leslie Van Houten and Patricia Krenwinkel entered the residence and were instructed by Tex to go to Rosemary's bedroom. Tex began stabbing Leno with a bayonet. Leno screamed out "stop stabbing me". The stabbing did stop, but only briefly; Tex went into the bedroom to help the girls with Rosemary. Leno was still alive when Tex came back to the living room where the stabbing resumed. After Tex was finished either he or Patricia Krenwinkel carved the word "WAR" into Leno's stomach. Patricia then stabbed him a number of times and left a carving fork protruding from his stomach and a steak knife from his throat. The girls then wrote "death to pigs", "rise" and "healter skelter" on the wall and refrigerator in Leno's blood. 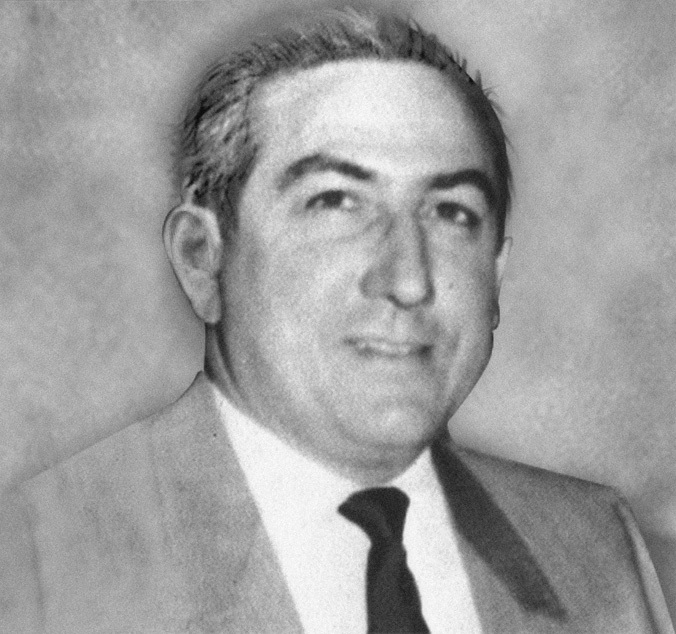 Leno Labianca was laid to rest at Calvary Cemetery in Los Angeles, California on Saturday, August 16, 1969.